A group of U.S. creditors have combined forces to appeal an order issued by the court allowing for Hanjin Shipping Co. to sell on if it’s most valuable assets and then send the earnings back to South Korea. The main concern for the creditors is that should the sale go through and the money is sent back to South Korea, then it’s more than likely that this money will then be unreachable for the creditors. On Tuesday 7th February 2017, a group of creditors primarily consisting of shipping container and trucking chassis providers, filed papers requesting the U.S. District Court in New Jersey to revisit a bankruptcy judge’s decision to approve the $78 million sale of Hanjin’s stake in Long Beach, California, container terminal operator . Just last month, the creditors lost a case in which they claimed that the sale proceeds should be kept in the United States, claiming that if they are administered by a court in South Korea, then the creditors will have considerably less chance of being repaid. The appeal comes as a court in South Korea, where Hanjin’s assets and bankruptcy proceedings have been largely consolidated, has moved to end any efforts to help get the company back on its feet, opting instead for a total liquidation. A final ruling from the South Korean court regarding Hanjin’s fate is slated for Feb. 17. 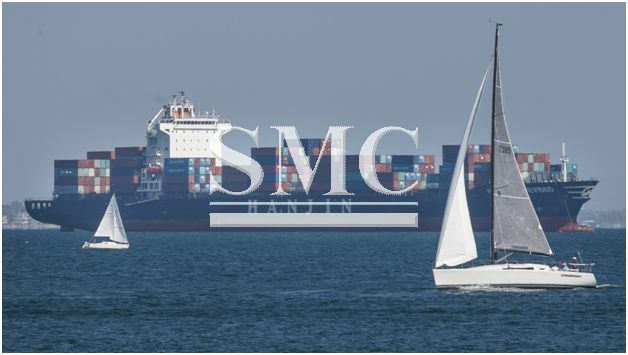 Hanjin chose a $78 million offer from Geneva-based Mediterranean Shipping Co., the world’s second-largest container operator by capacity, as the highest and best offer following a fast but competitive bidding process. The deal also forgives about $54 million in debt and other obligations. Hanjin owns a 54% stake in Total Terminals International LLC, the port operator that runs the Long Beach terminal, a 385-acre facility that handles millions of containers each year. Mediterranean Shipping owns the other 46%. Hanjin was the largest Korean container carrier and the seventh-largest in the world before filing for court receivership.